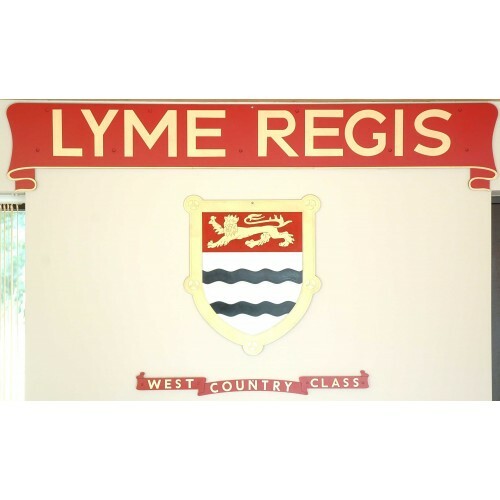 The photo shows the shield for Lyme Regis. (Apologies for the poor quality of the photo. I will replace it soon). The second photo shows the name plate, shield and class plate arranged as they were on the loco. Size 600mm x 450mm approx.